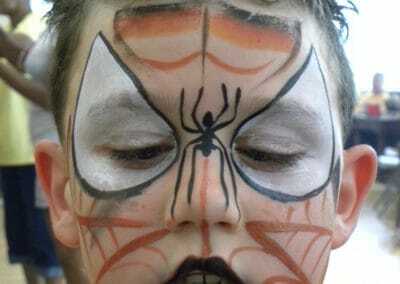 So, Face Painting is not like it use to be in Grandma’s time. 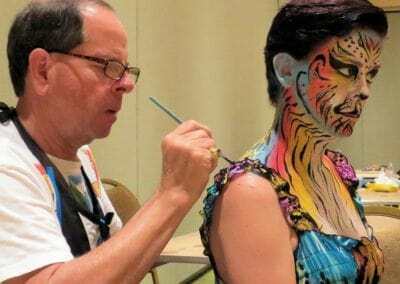 It is an art and can make or break a clown’s career! 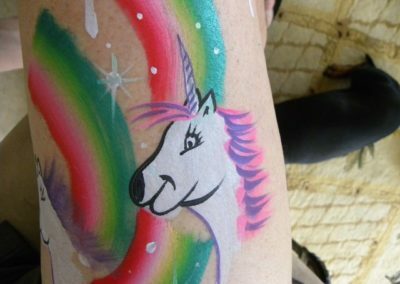 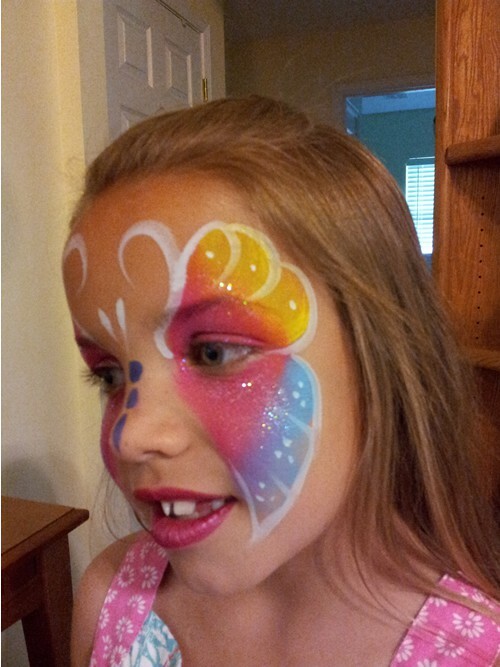 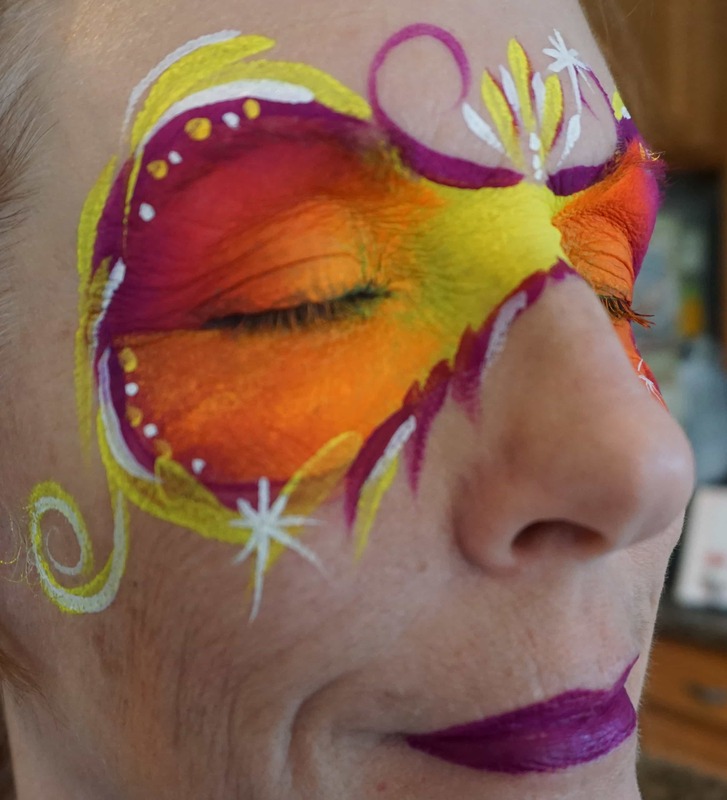 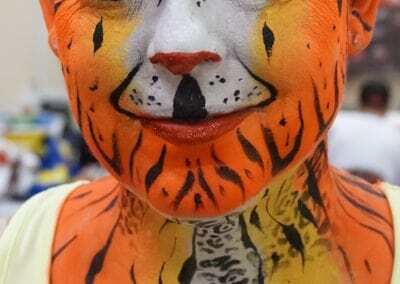 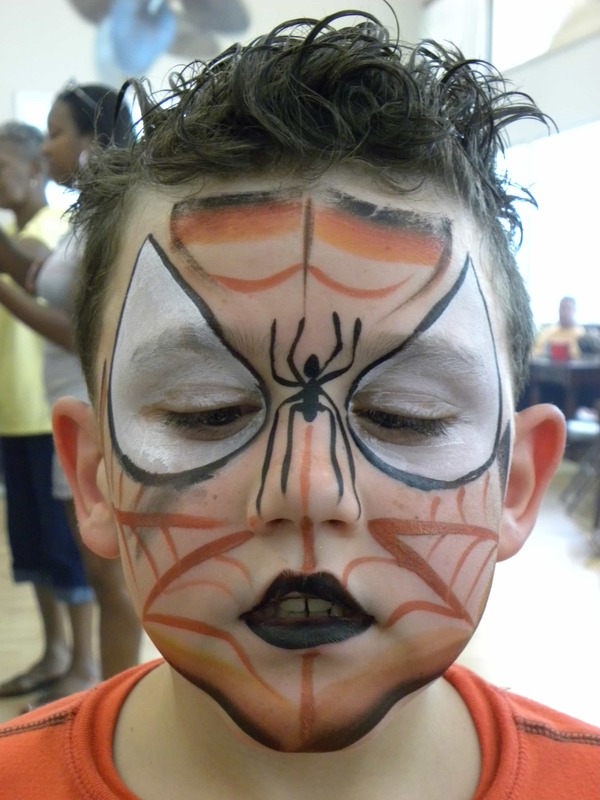 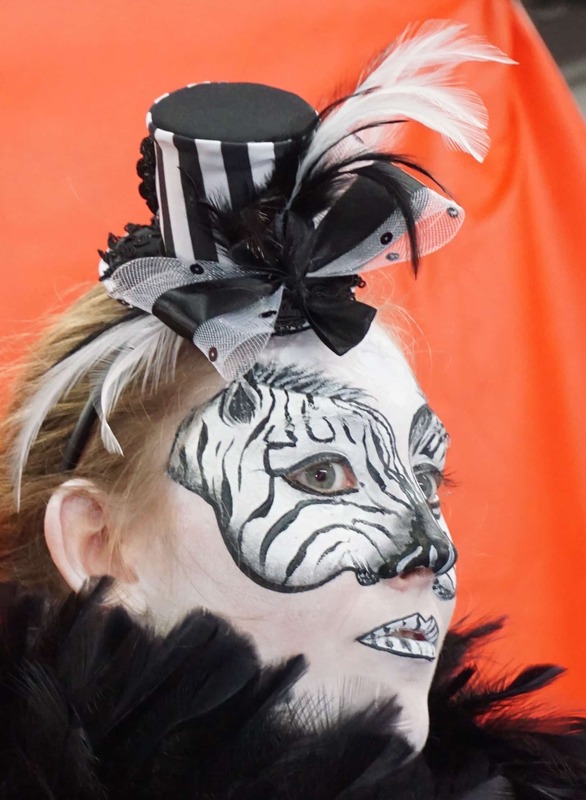 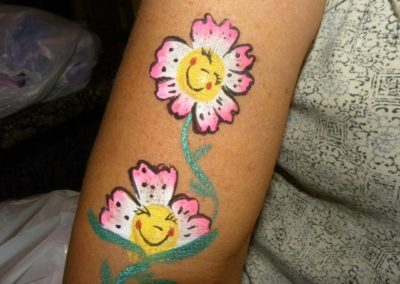 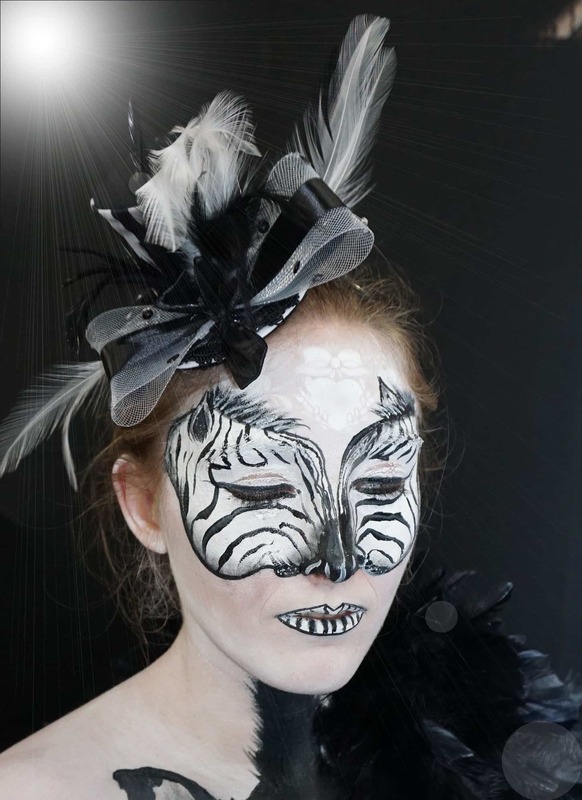 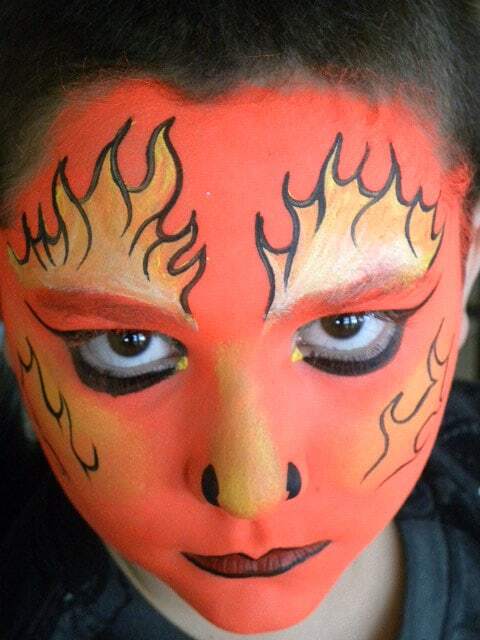 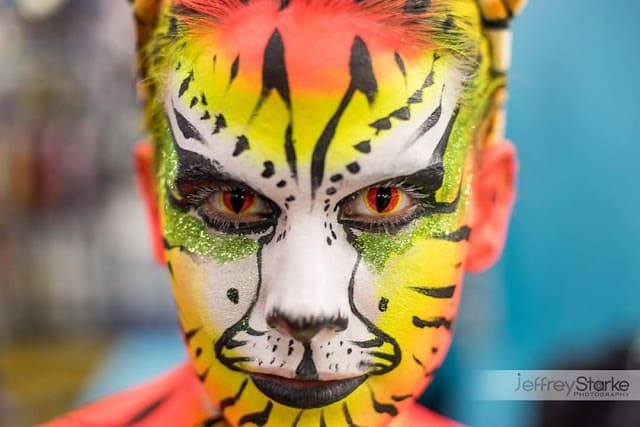 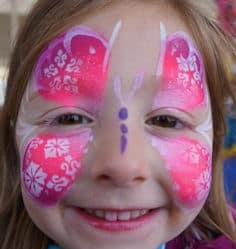 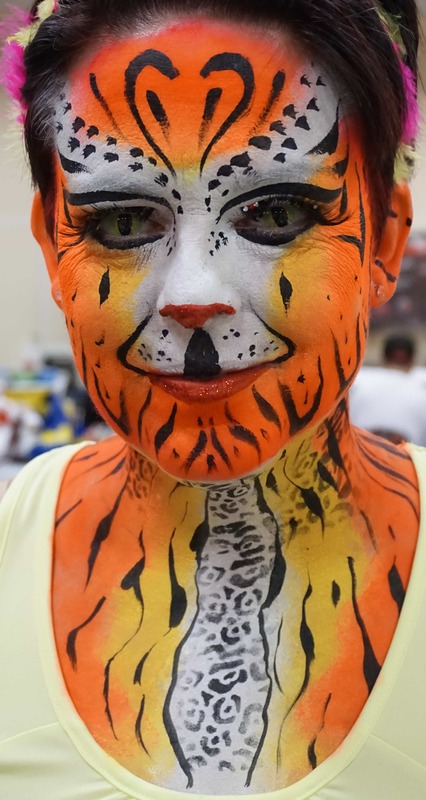 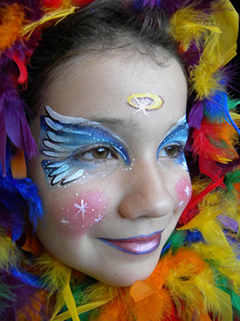 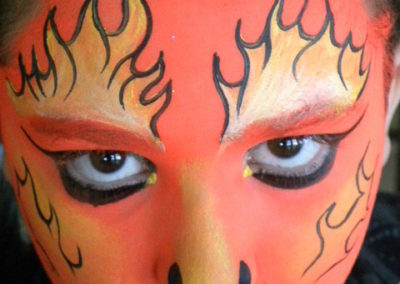 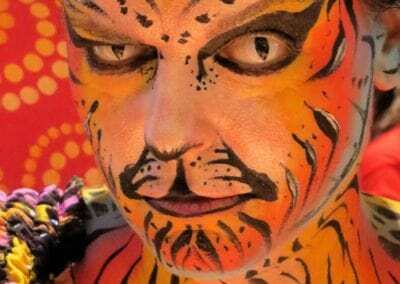 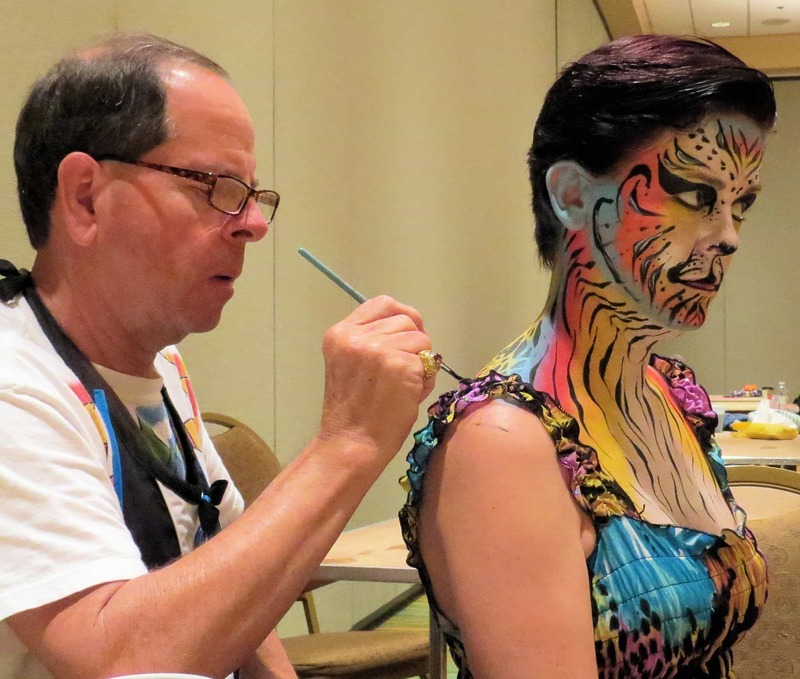 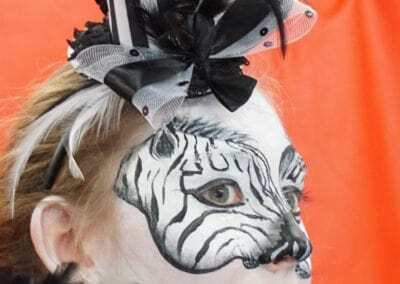 Face Painting has been around for a number of decades and has evolved tremendously. 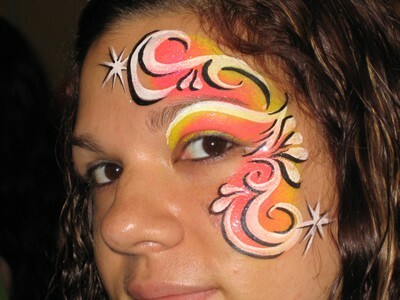 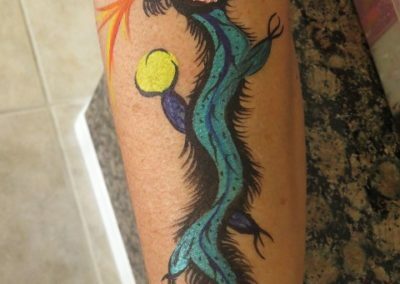 When I started, what was expected was a little butterfly on the cheek or hand , or some balloons. 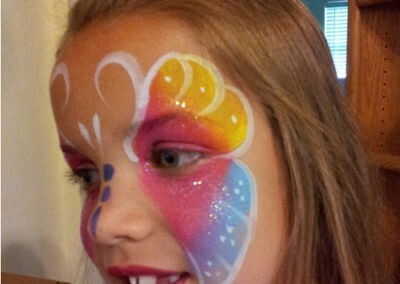 To be extravagant was painting the child with cat eyes, a cat nose, whiskers and lips – now that was Full Face! 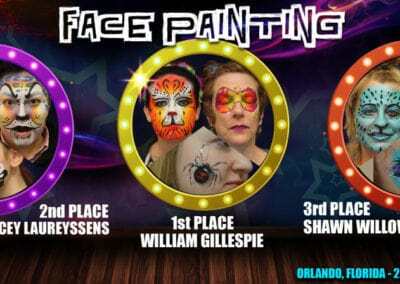 The art was taught at Clown Conventions. 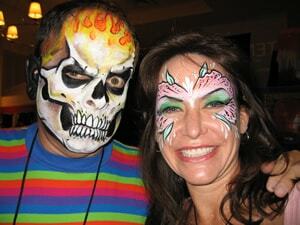 A lady by of the name of Marcela Murad, better know as “MaMa Clown” from Ft. Lauderdale, was the teacher. 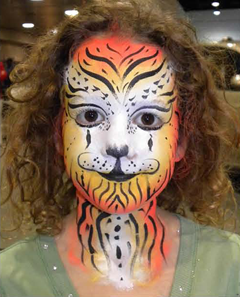 Year after year she would teach us tricks and “the way” it was done. 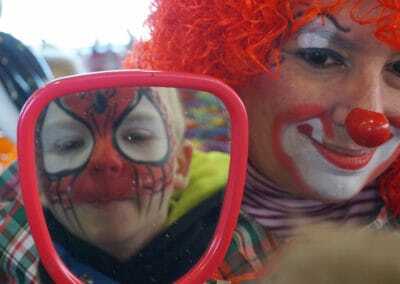 Then .. around the year 2000 MaMa Clown discovered a lady by the name of Jenny. 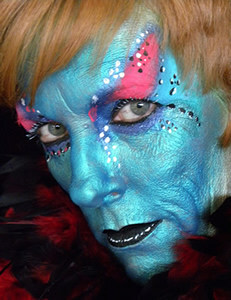 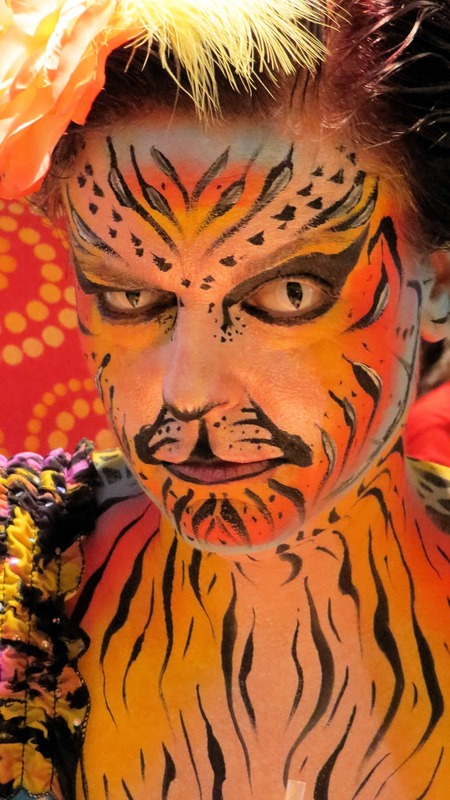 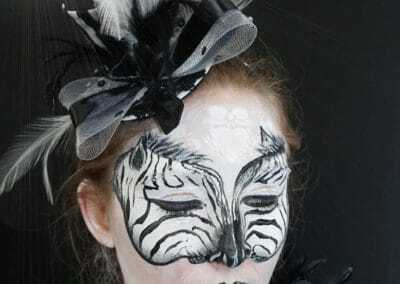 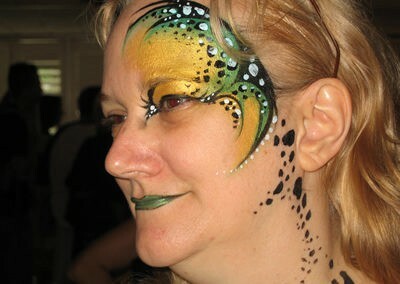 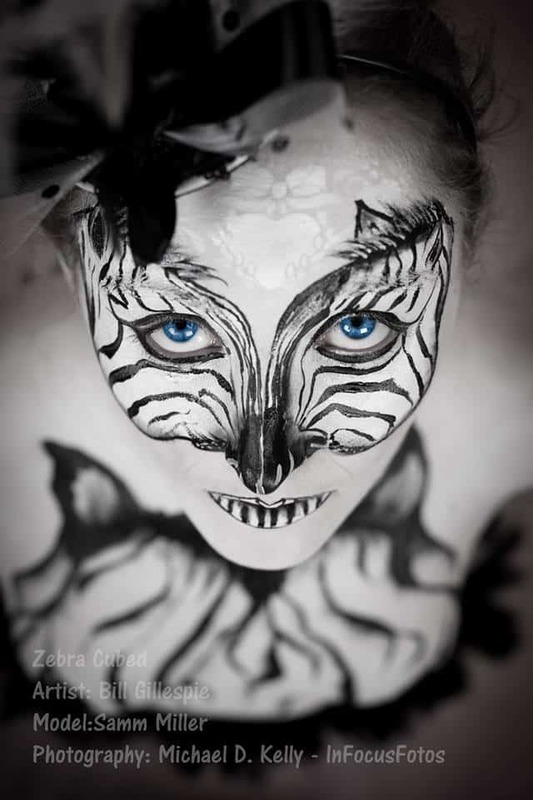 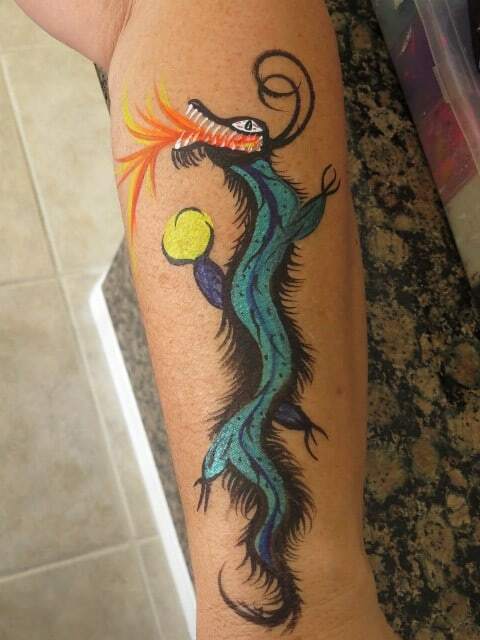 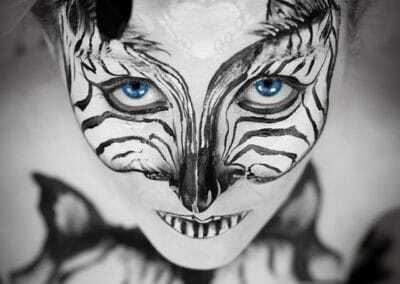 She was from Canada, and was an artist and a fantastic face painter. 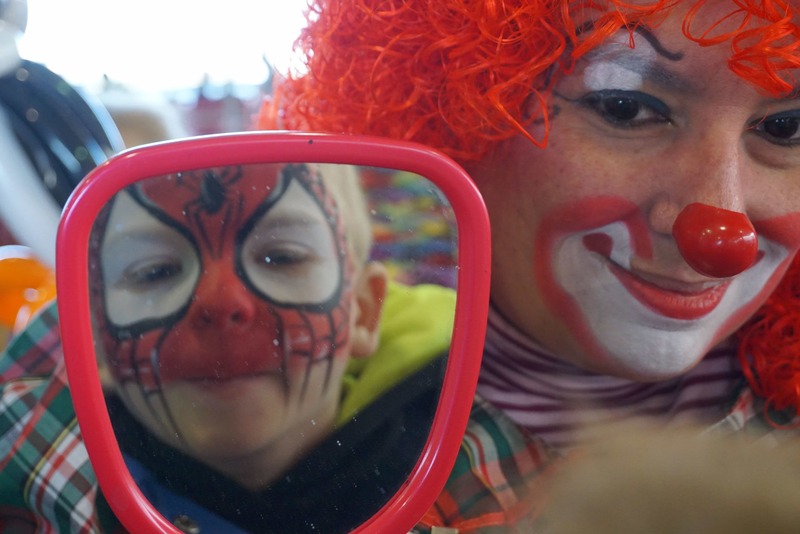 MaMa Clown started bringing her to the conventions. 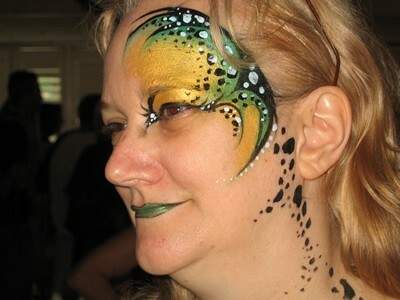 She taught us a new form of full face painting. 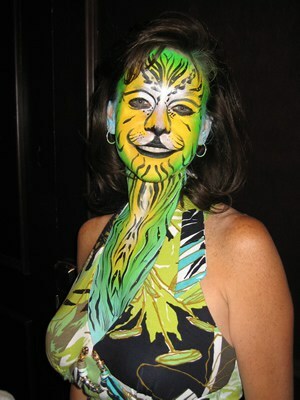 It was a style that, with a lot of practice, we too could become the desired entertainer at every party. 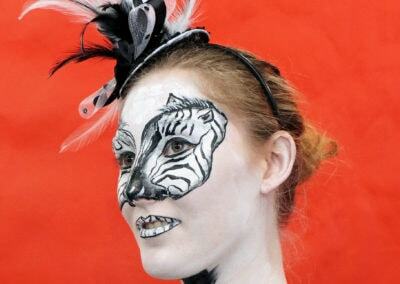 Paints evolved also. 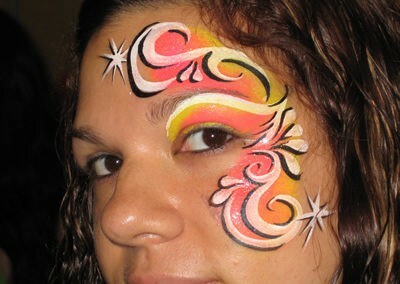 They became easier to work with, brighter and more intense in color. 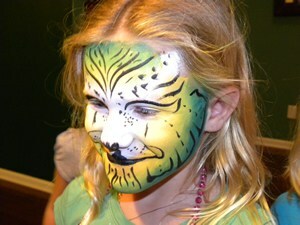 Instead of solely depending upon a brush to do the work, we were taught how to apply the paint with sponges. 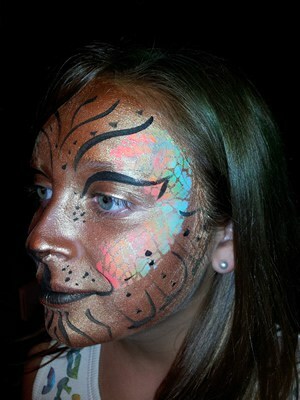 Sponges made blending so much easier and made our work look as though it was airbrushed.